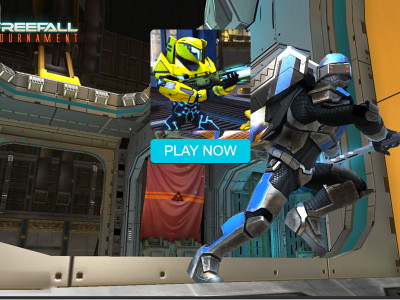 FreeFall Tournament is a fast-paced and intense, team combat game. You only have guns and a jet pack, your mission is to fight with another team on an unknown number of space stations. Show yourself throughout the team and upgrade your fighter to get better armor and guns.